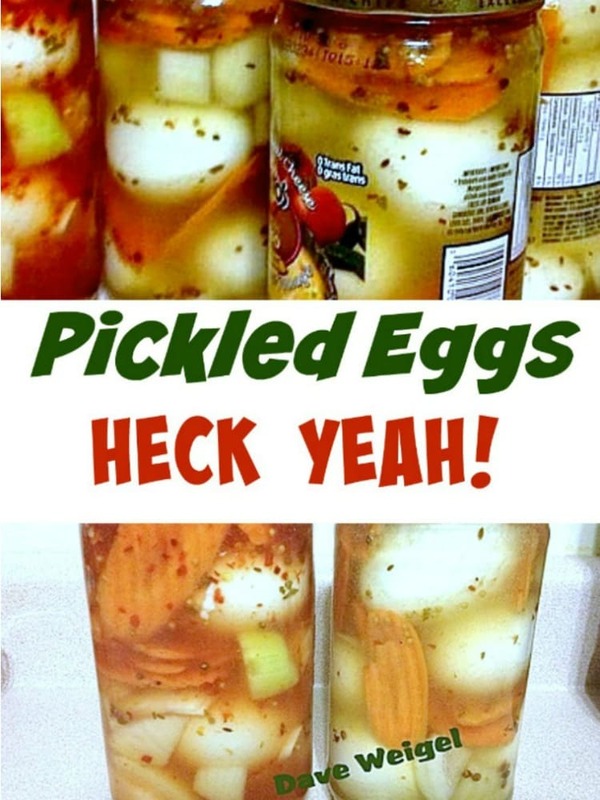 Pickled Eggs! 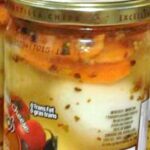 A great way to have eggs ready for salads and cold cuts. Dave loves to Grill and Smoke, and has loads of tasty recipes up his sleeve, and also finds time to make up the occasional pickle or two! 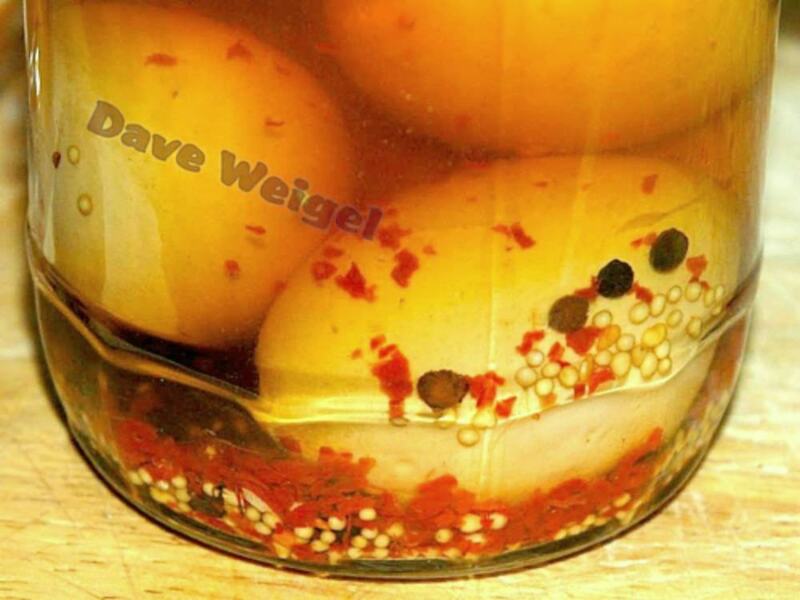 Here, Dave has shown us his lovely pickled eggs recipe and oh yes, it’s a good one! optional add chili flakes to taste as in photo. 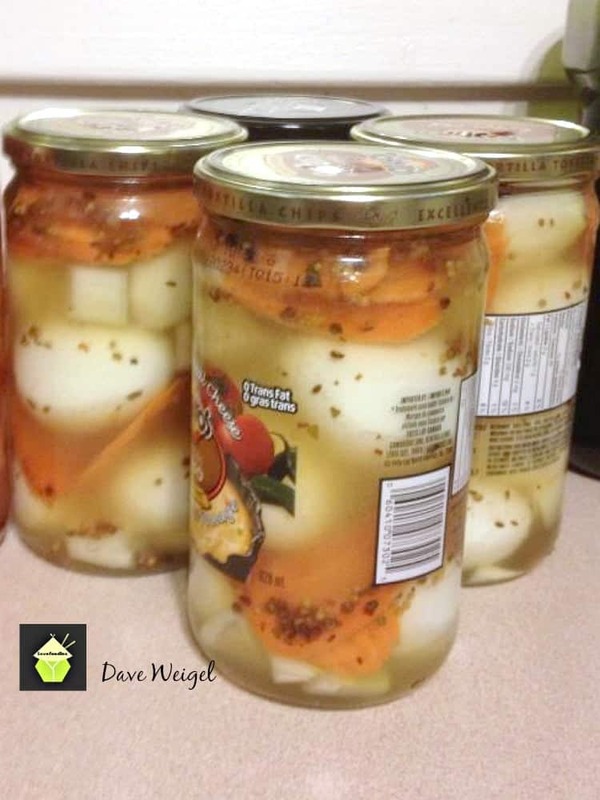 These will keep in the pickled jar in the fridge for up to 3 months. in optional add chili flakes to taste as photo. 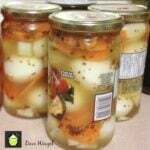 Cook brine 10 minutes and pour over layered eggs and onion. Put on lids and when cool store in refrigerator ready in 3-5 days. Are my eyes deceiving me? Are there also thin slices of carrots layered in along with the eggs and onions? The recipe states “optional add chili flakes to taste as in photo.” How do I know how the picture tastes? Growing up in the Midwest, we had picked beets and eggs. The eggs turn this gorgeous shade of purple and they are delicious. I’m guessing the flavors are much the same as above but really pretty with the added color. I still make them often, especially in the summer. That sounds really pretty Phyllis, and I can imagine they would be great for a picnic too, and also would look nice on a lovely salad plate. What a wonderful idea!